Barcelona is nowhere near as expensive as London, according to ECA International, a world authority in providing information about the cost of living, salaries, accommodation, tax and labor law. The Catalan capital now occupies the 14th position in the European ranking of most expensive cities in Europe. How did the housing issue begin? The average price of a flat in Barcelona is €875.78 per month, according to the Institut del Sòl (INCASÒL), a public company belonging to the Catalan government, an amount that shows an increase of 29%, compared to four years ago. The main reason for this inflation is a “large demand and small supply,” according to economist and lecturer at the Pompeu Fabra University, Josep Maria Raya. And while some argue that this increase is comparable to before the major crisis in 2008, Raya does not agree. “If we go back to 2008, the real estate bubble was based on loans granted by banks,” he explained. “But nowadays, there is no bubble in the market, simply because there is an economic reason behind it. People rent a flat for its profitability,” said Raya. There is, however, another factor to keep in mind: tourism. The “large volume” of which, according to the economist, “has an influence on the market.” “People see a successful business in tourists,” stated Raya, adding that “if you cannot have a rental agreement for a year at the same price as a tourist one, you will end up renting to tourists. That situation puts pressure on rising prices”. These situations are not the same in every district in Barcelona. The most expensive neighborhoods are Sarrià-Sant Gervasi and Les Corts, while the cheaper ones are Nou Barris and Sant Andreu, according to INCASÒL. According to Raya, there are two possible economic solutions to the situation. 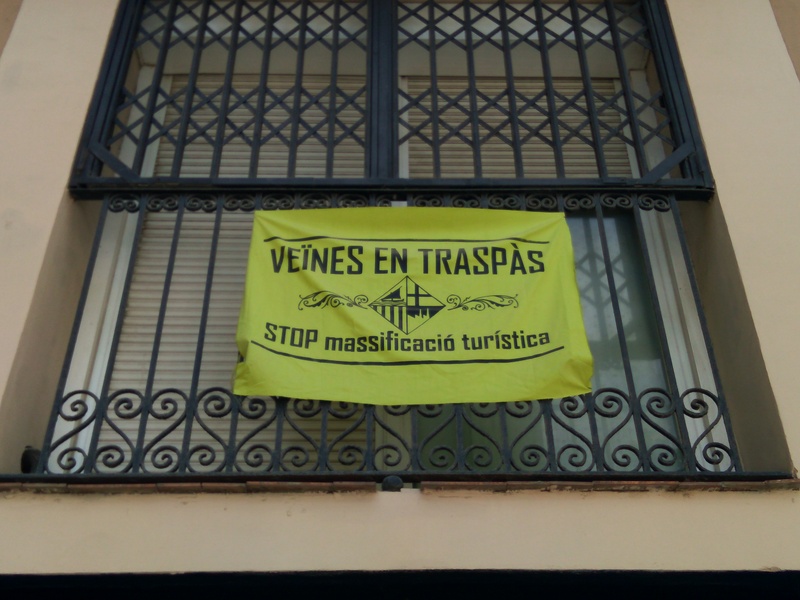 The first one would be for the Barcelona Town Hall to take part in the market, meaning, in this case, that mayor Ada Colau could put the maximum price on the market for renting houses. Josep Maria Raya, however, does not like this solution. “If you take over the market and decide to put a maximum price, it will look like a black market”. 90% of public houses are to be rented to senior citizens (over the age of 65) and social rentals for those people who need a house. Building leases: “aimed at facilitating access to social-housing accommodation”. People affected by urban planning: housing for rent or sale for all people affected or displaced due to new urban-planning developments. Direct adjudication by the promoter: in order to expand the public housing stock. Barcelona has a public housing rate of 1.7%, according to a study carried out by Housing Europe. Far from the 20% in Austria or 33% in the Netherlands. The Right to Housing plan 2016-2025, put forth by Colau’s political platform, wants to increase the percentage to 17%, in order to reach the average in Europe, and to stay in line with the best practices in European cities. How do other European cities fare? London is the most expensive European city to live in. But what’s the average price in other European cities? According to Eurostat, the statistical office of the European Union in Luxembourg, the most expensive cities apart from London are the Swiss metropoles of Geneva and Basel. The cheapest cities can be found in Eastern Europe: Chisinau (Moldova) and Minsk (Republic of Belarus). How are Erasmus students coping with it? Among those looking for a flat in Barcelona are Erasmus students. According to the European Commission, the Catalan capital is one of the cities that receive more Erasmus students on the continent. Some of these students come to the city with a scholarship or economic assistance, but most of them do not receive any financial help and have to pay for everything out of pocket. Inasmuch, the cheaper areas of the city accommodate the largest number of foreign students. Nou Barris and Sant Andreu are the most affordable districts for these people to live in, according to INCASÒL. Not all Erasmus students have the same perspective about the economics of renting: some decide to rent a flat or live in student housing in areas that are more expensive. This is the particular case of Tomás, a student from Bogotá, Colombia, who has been staying in the city since January and who has decided to rent a flat with two friends in Poble Sec, a district near Plaça Espanya. The cost is €500 per person, €1,500 total per month. This might seem expensive to some, but not to Tomás. He maintains that Bogotá is much more expensive than Barcelona. Barbara is also an exchange student from Edinburgh who came to the city at the beginning of this year. She is staying in one of the oldest districts of Barcelona, l’Eixample, and to live there she is paying €400 per month. Knowing that she came from an expensive city in Europe - according to OCDE, living in Edinburgh is 4% more expensive than living in Barcelona - for her, her rent is not such an expensive price to pay. The average price of living in Barcelona is increasing every year. Ada Colau, through the Right to Housing Plan 2016-2025, is attempting to avoid the Catalan capital becoming one of the most expensive cities in Europe.